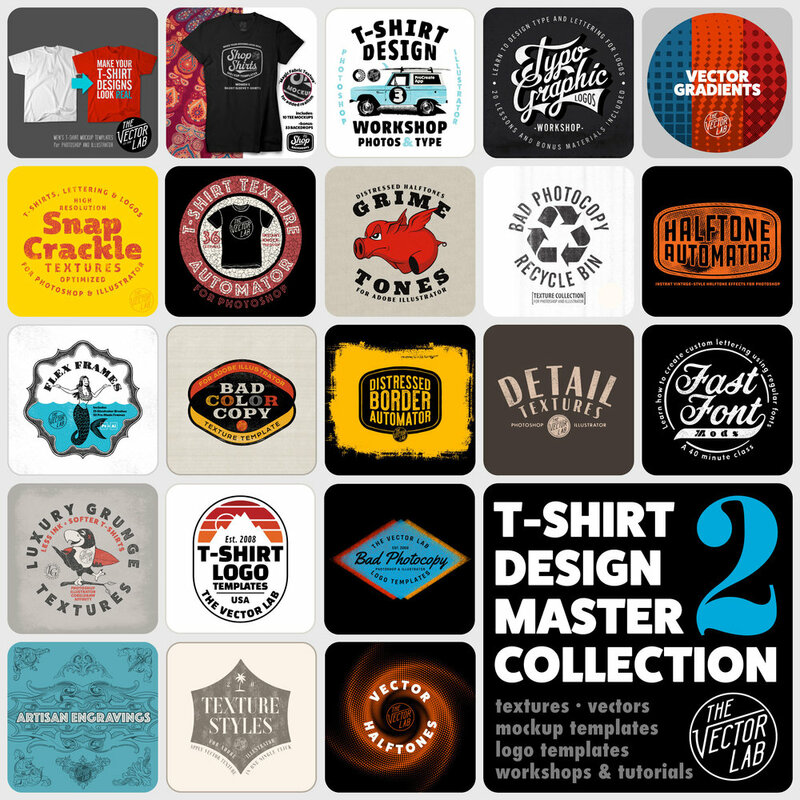 Logos, lettering & surf t-shirt graphics. Designs mocked up using Men's T-Shirt Templates and Thrift Shop. 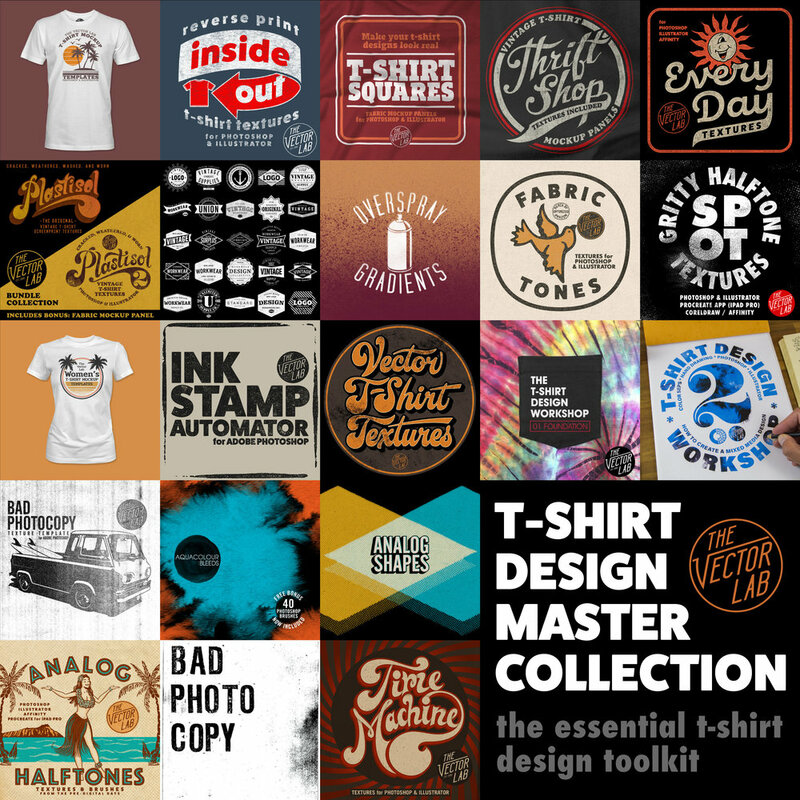 Mock up your t-shirt designs with t-shirt fabric and vintage cracked ink textures with Thrift Shop. Tools used: Men's T-Shirt Templates and Dry Marker Pen.